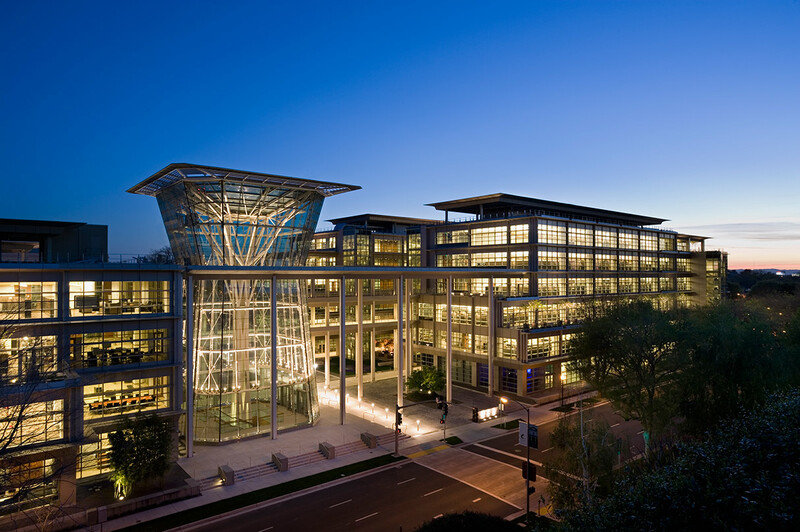 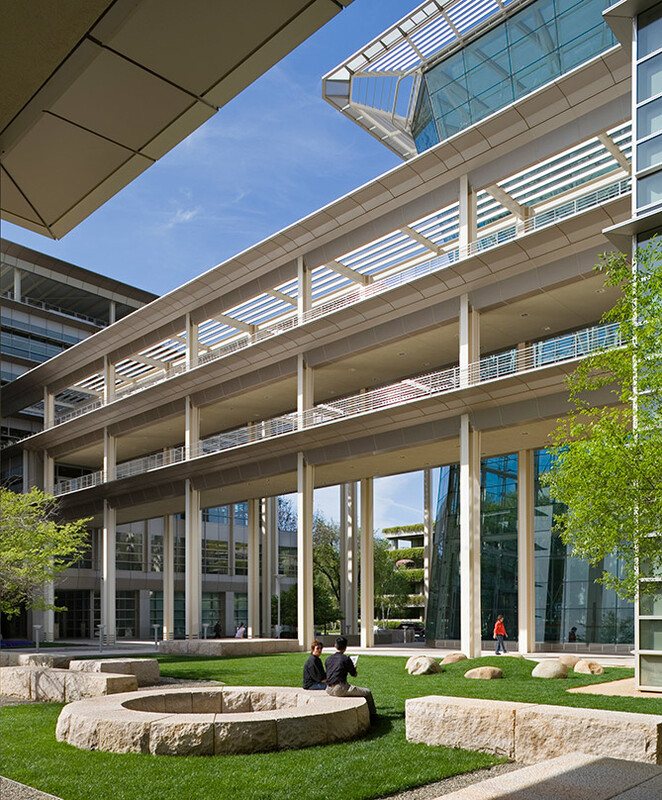 The California Public Employees Retirement System (CalPERS) Headquarters Complex is a mixed-use development integrating 550,000 square feet of commercial office space, 25,000 square feet of retail space, 180,000 square feet of housing and below-grade parking for 1,000 cars. 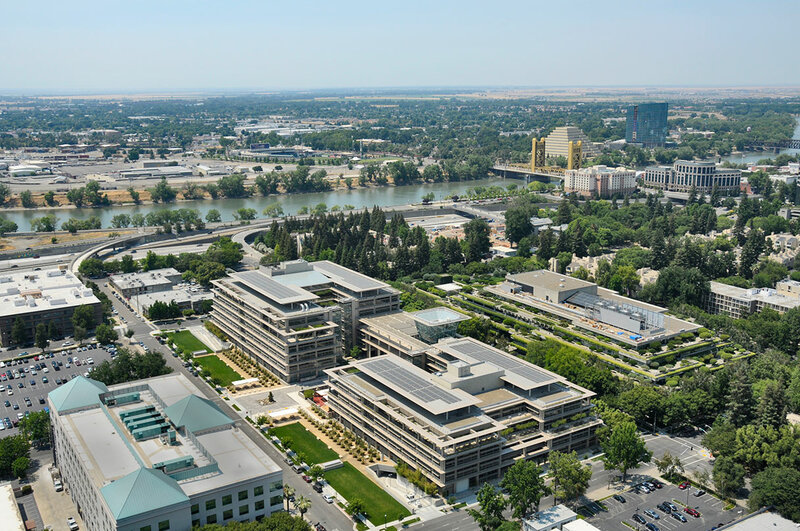 The site comprises two contiguous blocks located in Sacramento's downtown. 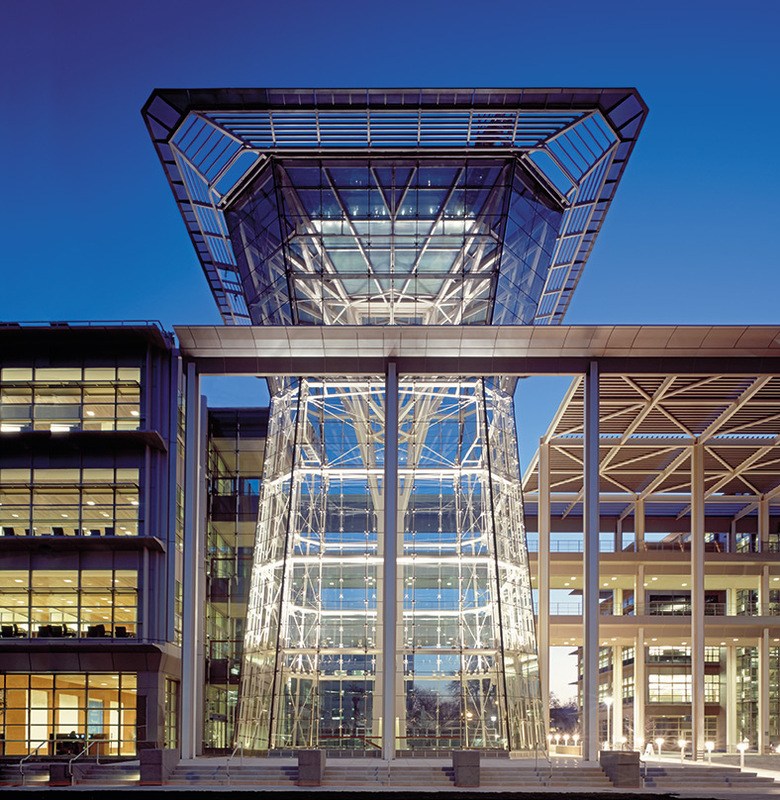 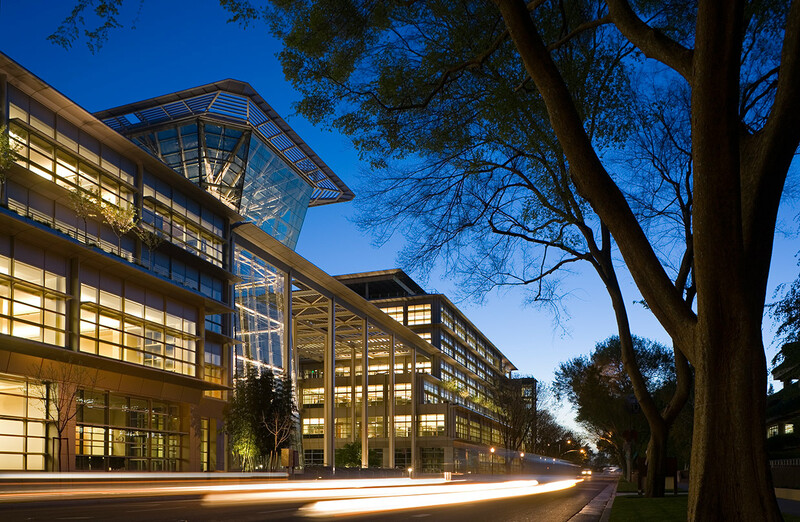 The building's design is a response to both the urban fabric of Sacramento and to the sustainable design goals of CalPERS. 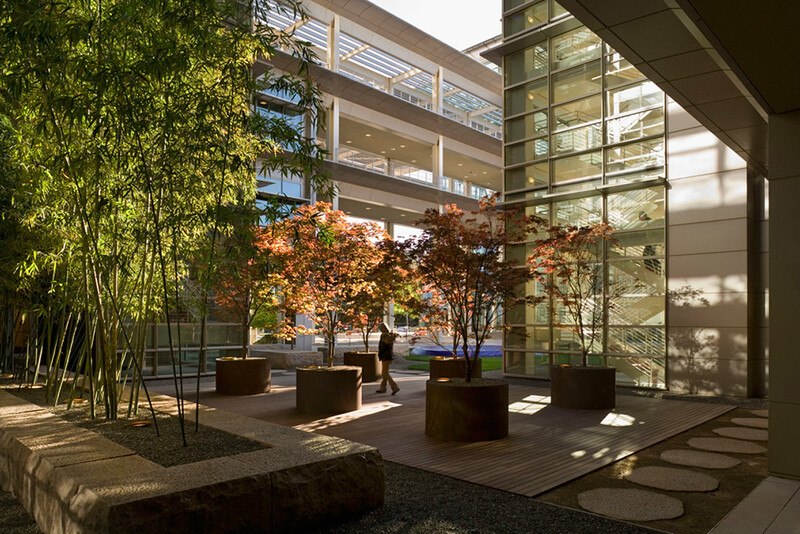 The exterior skin incorporates sunshades, light shelves, and planters, helping the building exceed California's aggressive energy efficiency requirements. 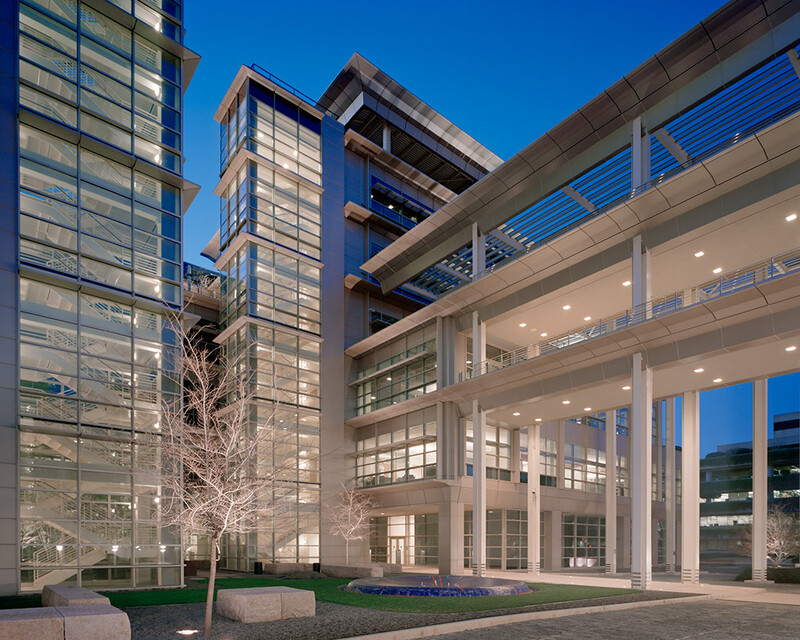 The clear glass curtain wall integrates canopies and trellises to effectively blend interior and exterior space. 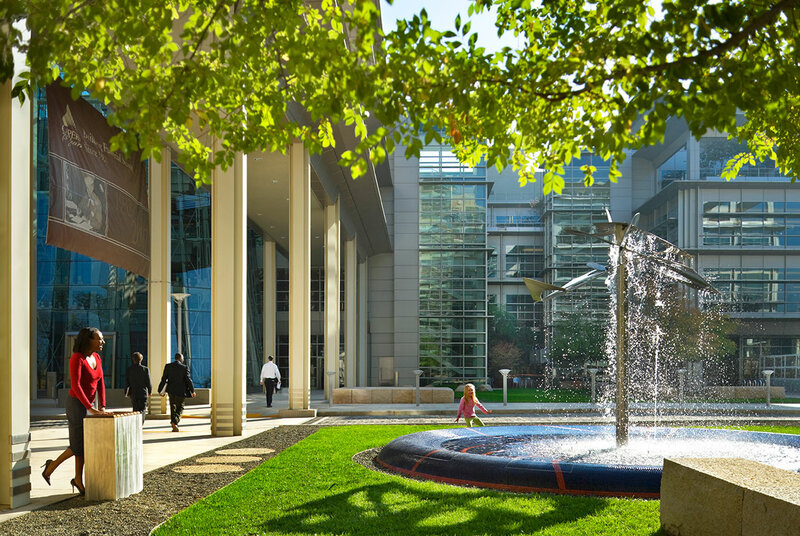 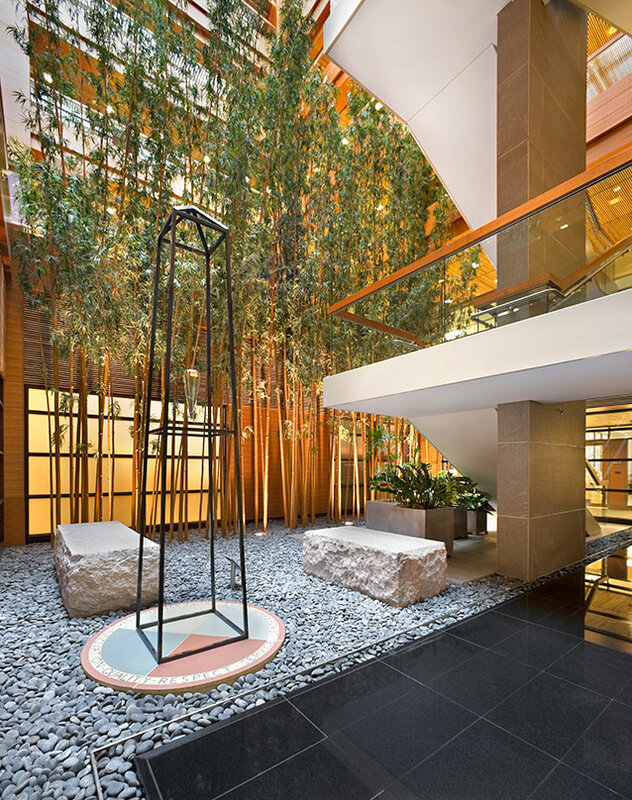 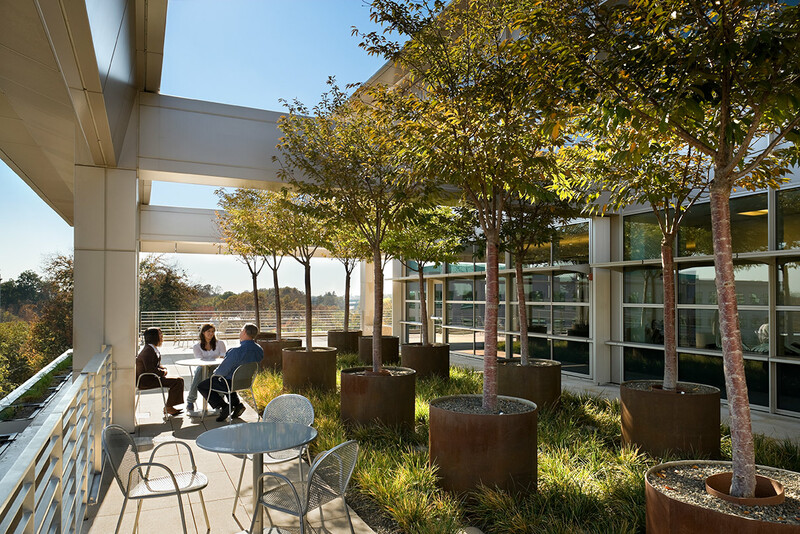 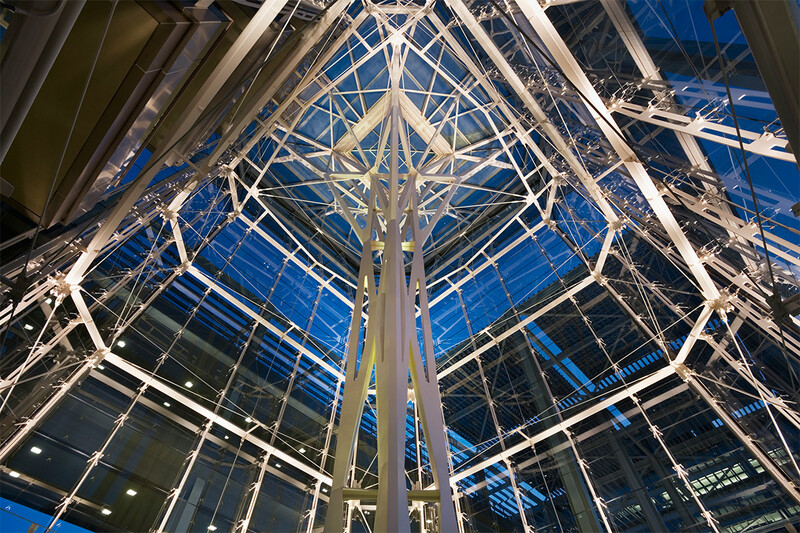 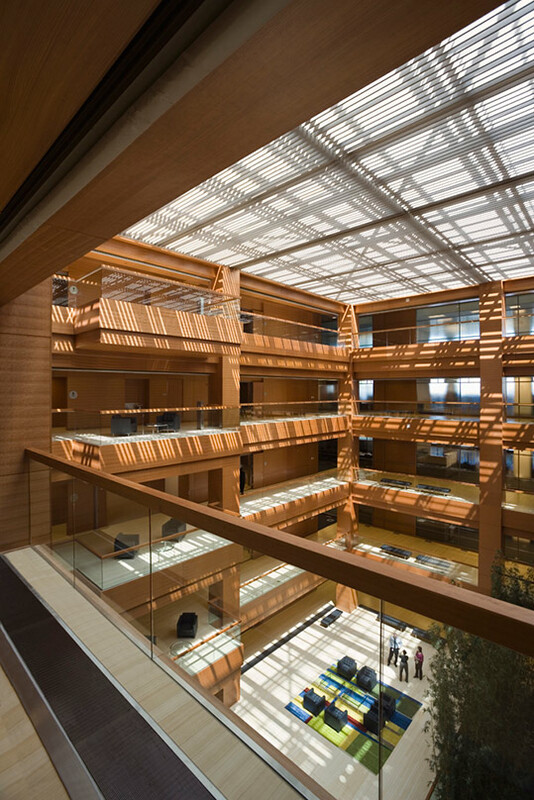 A central courtyard offers both employees and the public a sheltered urban retreat, while a dramatic multi-story glass atrium brings light into the core of the building. 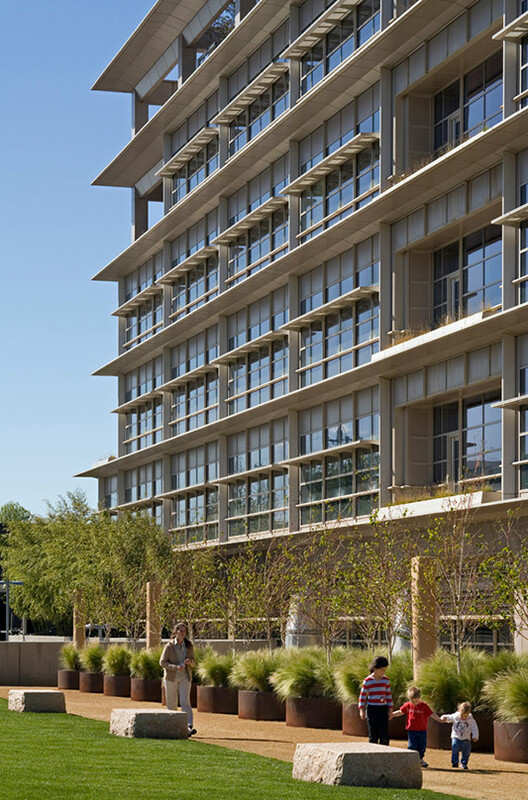 In addition, the building's fenestration changes from street to street in response to sun orientation, internal program requirements, and neighborhood adjacencies. 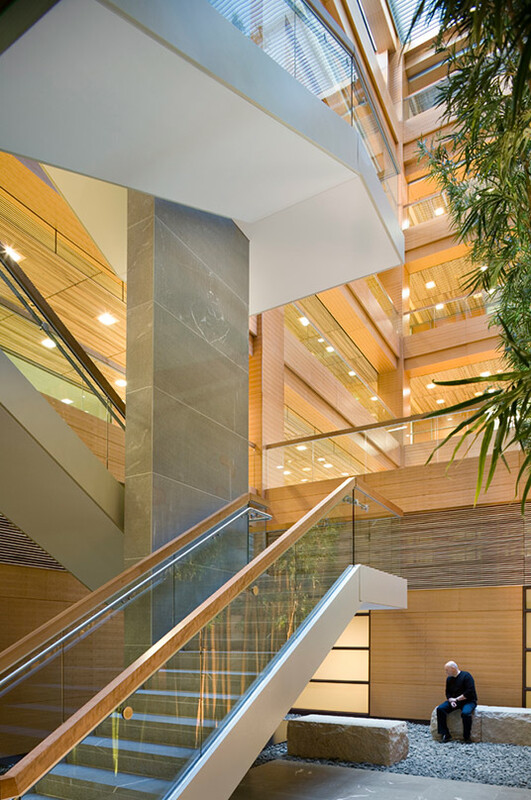 As a result, the project received LEED Gold certification. 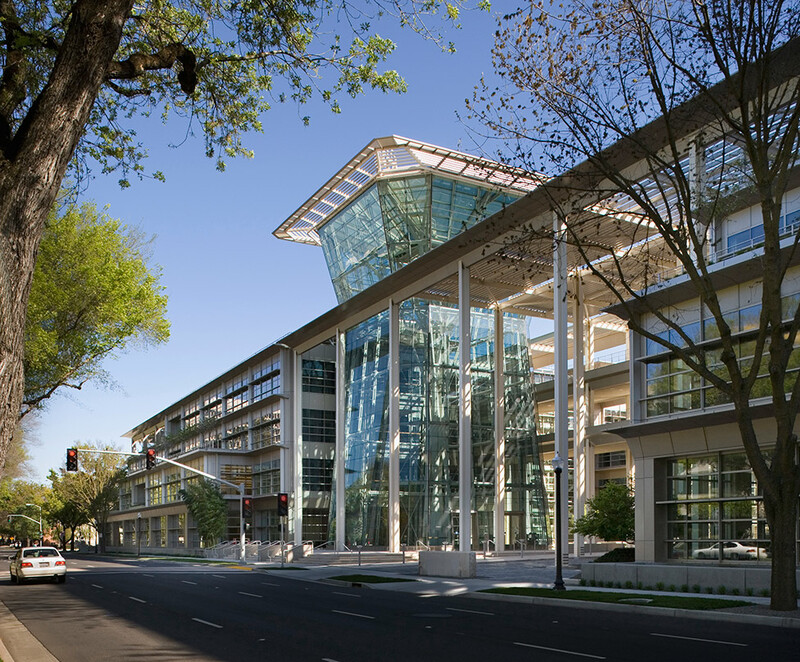 Comstock Magazine - Building a Better City: With the new area as an architectural catalyst, will Sacramento finally go bold?